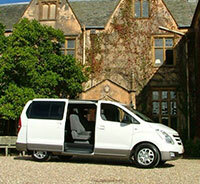 At To An Fro we not only offer an amazing range of minibuses but also people carriers. 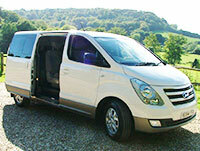 People carriers have a range of advantages including only needing car insurance, as well as there being no need to pass a new minibus driving test. The Hyundai i800 offers comfort and functionality, making it ideal for use by groups of friends, families and businesses who have a large group of people who need transport. Seating 8 different individuals it allows for you the ability to reduce the amounts of vehicles you need so saving time, effort and money. At To An Fro we pride ourselves on offering an amazing selection of vehicles for you to choose from. To make sure we have a vehicle that suits your needs we offer our vehicles at competitive prices, and to find out more why not contact us for more information.